Gràcia was recently graced with Bar But, a Catalan restaurant whose name, a play on the word “barbut” (bearded), reveals a playful touch also reflected in its menu. Market-fresh Mediterranean food is their game, but Asian influences assert themselves too. Dishes like tuna tartare, tataki and the trending “buns” (baos) appear in a menu otherwise solidly planted in Catalan soil. 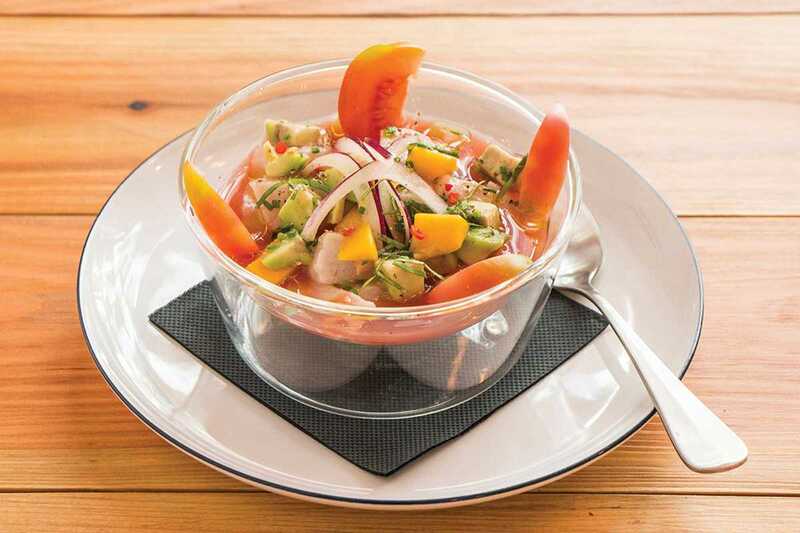 Traditionalists can go for the classic cazuelas (stews) of snails or fricandó (beef), while adventurous types can sample low-temperature dishes like shrimp in seawater or lima beans with jamón. Desserts include temptations like lemon pie, cheesecake and the classic Catalan toast with dark chocolate, olive oil and sea salt, as well as an inventive variation with white chocolate and lime. Lunches are a reinterpretation of the combination plate, and all menus can be adjusted to meet vegan and other needs. It’s a place worth coming back to, not only for the food, but for the rotating expositions of artists.